Leesburg rapper Vincent Peters, who goes by the stage name Vince P, is suing hip-hop superstar Kanye West. In court documents filed June 25 in Illinois, Peters accused West and his longtime business manager, John Monopoly, of stealing a song Peters wrote and recorded in 2006 called “Stronger,” according to the Loudoun Independent. 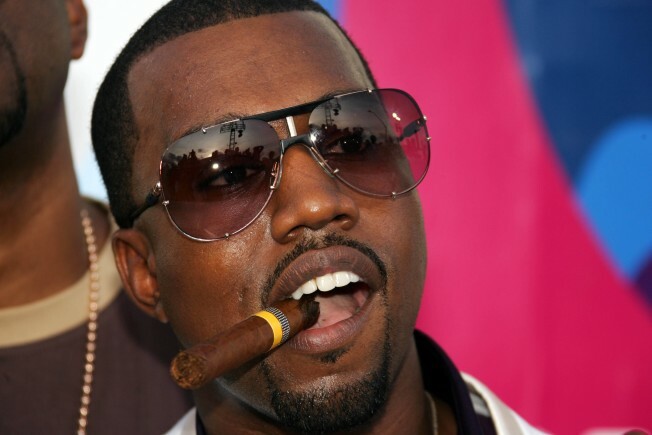 West released a song by the same title in 2007 on his hugely successful album "Graduation." West’s "Stronger" became a "Billboard" No. 1 and also earned West a Grammy for best solo rap performance. So how could Peters’ song end up in West’s repertory? Through Monopoly, according to the lawsuit. In court documents, Peters described in detail how he wrote and recorded “Stronger” in Chicago and then met with Monopoly at the manager’s Chicago home on Nov. 12, 2006. Peters was looking for an executive producer and shared several of his songs, he alleges. The lawsuit goes on to state that West's version "copies significant and important parts of Peters' lyrics identically or almost identically," including the hook -- a major element of the song.